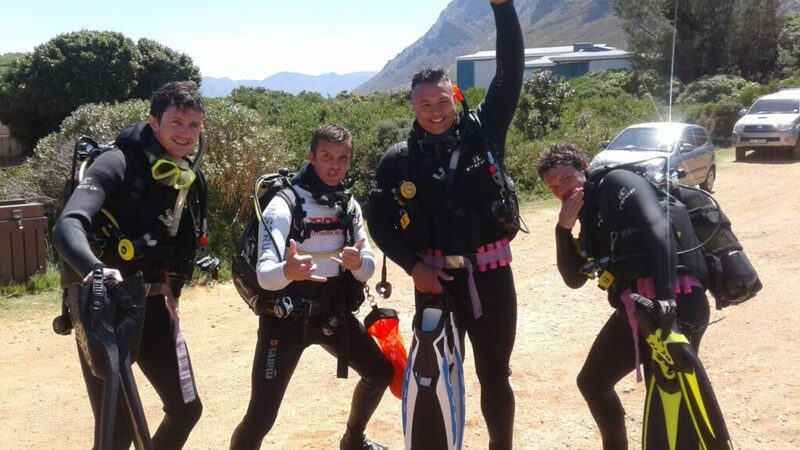 Enjoy a crazy kelp dive or rock with us on a wreck, shore dive with sharks or salsa with the seals... scuba dive Cape Town - the ocean is your oyster at Alpha Dive Centre. Let the scuba bug bite the kids from as young as 9 years with a Scuba Party for Kids, the Scuba Rangers programme or sign up for adventure with the Junior Open Water Diver course from age 10+. classroom can seat 8-10 students comfortably. introduction to scuba diving pool session for you, your family and friends, done right here with a highly qualified instructor. 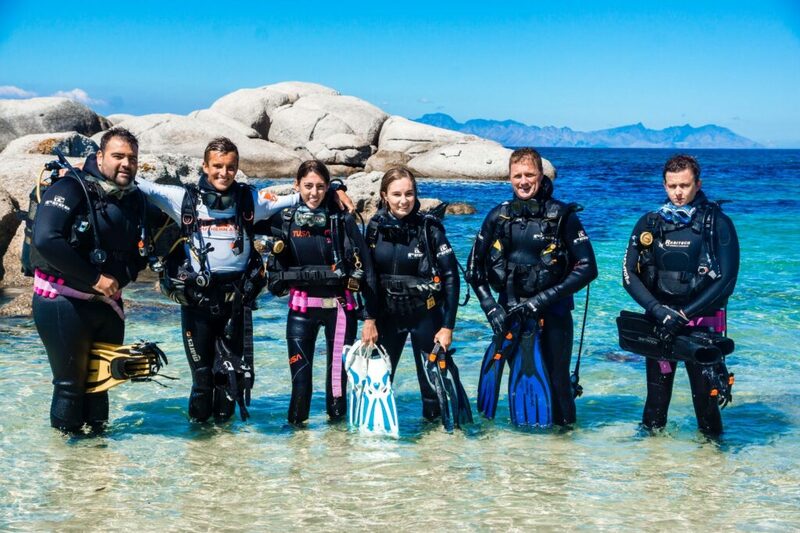 We are able to provide divers with excellent equipment service and repair by highly certified technicians and we invite you to visit our travel desk for your next dive trip. *Air cards available @ R990 for 10 fills. Our fully equipped dive shop offer top of the range scuba diving gear from leading manufacturers such as Mares, Poseidon, Tusa, Scubapro & Reef. 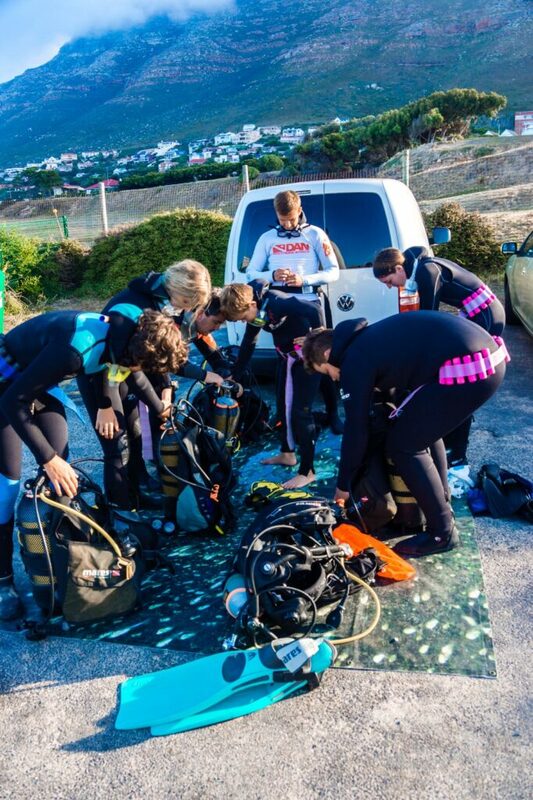 Equipment on offer covers all aspects of skin diving and spearfishing too. For your safety and the safety of fellow divers, you need to get a visual test every year and a hydrostatic test every 4 years. Both are available through our dive centre. Don't get lost, find maps here. Stay up to date, join our mailing list here . Thank you very much to Ettienne & Alpha Dive Centre for the extra effort that was provided with acquiring my new equipment and going the extra mile to make sure I felt competent using my drysuit! Excellent advice and information! Thanks guys! What a amazing experience and well organized trip. Thank you very much to Ettienne and all the new friends I made on this trip for making a dream a reality. 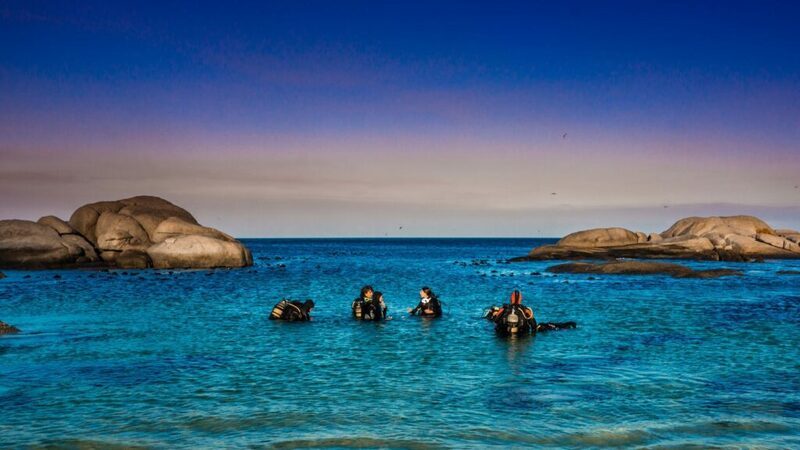 For everyone that has not gone on a trip abroad with Alpha Dive Centre......you are missing a experience of a lifetime. 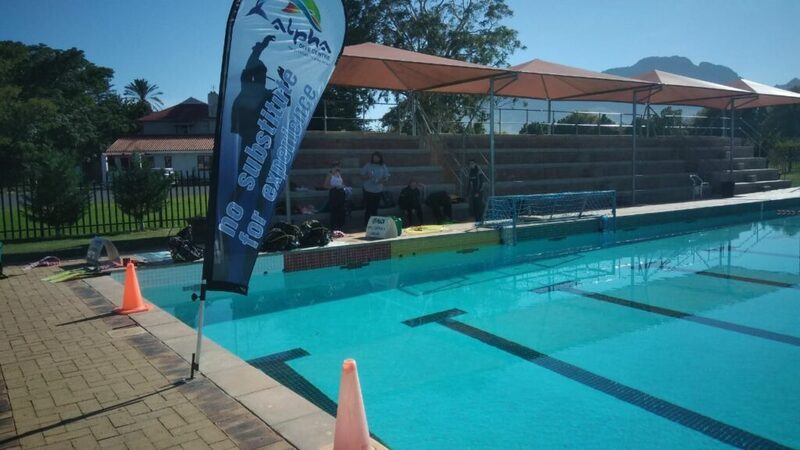 We did the open water course at Alpha Dive Centre. As absolute beginners they made us feel very comfortable straight away. I found it quite daunting at the beginning as there is a lot to learn and a lot to remember as you are sitting at the bottom of the ocean miles out of my comfort zone. But the patience and dedication ofcthe team made it a great experience and I will definitely dive again because of it. And a special thank you to Big Rick, who kept his cool as we were constantly floating away upside down in opposite directions. You made it fun Rick.